Distributing your content with top of the line solutions. Rohde and Schwarz equipment distributes content for customers around the world. From the origin of linear delivery with our R&S®VENICE media server to terrestrial, IP and satellite systems, we have technology for any type of network your business operates. We provide solutions for monitoring the distribution system's performance over baseband, compressed and RF networks. With some of the most powerful television transmitters in the world already on air, Rohde & Schwarz is leading the way for efficient one-to-many content distribution solutions. Channel playout for distribution is supported by the R&S®VENICE media server and the R&S®PRISMON monitoring system. R&S®VENICE supports the multiformat file based workflows required in modern production, management and playout systems and offers interfaces to automation systems, making it ideal for applications in a broadcast environment. Based on common off-the-shelf IT hardware, R&S®VENICE provides real-time baseband inputs and outputs over both SDI and the new SMPTE 2110 IP interface. R&S®PRISMON provides a comprehensive multiviewer display that shows the media status and includes features such as content compare for content verification of output channels. Rohde & Schwarz transmitters set the benchmark for power efficiency. With some of the largest installations worldwide and a history in RF transmission going back to 1933, we have the experience required for your transmission needs. A wide range of highly innovative radio transmitters and TV transmitters provide a content distribution system that is ideal for one-to-many content distribution. Supporting our customers with great products is only one way Rohde & Schwarz supports this form of distribution. We also offer great long-term service level agreements to keep your network up and running. Content distribution over satellite is an essential part of the world’s media infrastructure. Where no suitable terrestrial delivery system exists, satellite is able to deliver the bandwidth you need. In trying to help make efficient use of such a precious resource, Rohde and Schwarz has invested in solid-state satellite amplification technology with both indoor and outdoor models. The small compact size of solid-state technology is not the only advantage R&S®PKU100 offers to our customers. It also features fast startup times and highly innovative precorrection to maximize link performance. Content distribution for valuable real-time applications such as live sports, news or current affairs is an expensive proposition. However the internet has grown, making more and more bandwidth capacity available to millions of locations around the globe. This offers the opportunity to use internet capacity for professional real-time media contribution and primary distribution. The issue is that the internet is notoriously lossy, and low grade performance is not acceptable in professional applications. R&S®RelayCaster from Rohde and Schwarz enables the use of the open internet for these applications by accurately tackling the issue of packet loss and achieving professional quality standards even with poor connections. Program providers and network operators place considerable importance on error-free generation of digital TV signals and their correct distribution and transmission in networks, not least because of contractual obligations towards their business partners. Monitoring institutions, on the other hand, handle different tasks. For example, they check compliance with relevant standards, including whether the coverage in a specific transmission area is adequate or if a specific program set is correctly broadcast. R&S®DVMS from Rohde & Schwarz offers a solution to address all these challenges. Monitoring your professional networks and media flows is becoming a more and more complex task. With multiple network types and the huge number of streaming media formats you will need a monitoring solution that can offer a consolidated view. R&S®PRISMON monitoring solutions and R&S®PRISMON.cloud are a distribution monitoring solution able to analyze media flows over multiple network types and of a wide variety of media types. 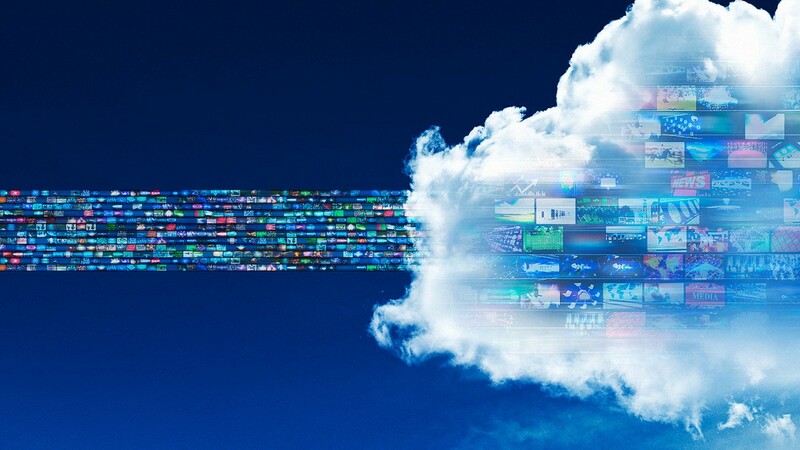 Ensuring third parties such as CDN’s are performing in the carriage of your media over cloud infrastructure is where R&S®PRISMON.cloud completes the monitoring of your service. In areas of real time media, particularly in the distribution of live or time sensitive content it’s important to have human viewing and verification of content in high quality and in close relation to real time. R&S®PRISMON multiviewing solutions offer an answer where new IT networks are required to display low latency uncompressed SMPTE 2110 streams, while at the same time viewing OTT ABR encoded distribution streams of the same or other programs. Rohde & Schwarz TV transmitters feature outstanding efficiency, a compact design and minimal operational costs. Rohde & Schwarz FM and digital radio transmitters save a great deal of energy and significantly reduce operational costs. The new R&S®SpycerNode media storage brings HPC technologies to the media and entertainment industry. It offers an easy-to-use interface, a HPC file system, market-leading erasure coding mechanisms and many more functions, allowing you to focus on your creative work. Designed for cloud-based analysis of media streams delivered OTT to consumers, R&S®PRISMON.cloud expands the view of professional media companies outside their own premises. Deployed as an audio/video monitoring tool, R&S®PRISMON is one of the most advanced and versatile solutions on the market. R&S®PRISMON is the tool of choice to keep your content quality at the highest level. Deployed as an IP-baseband multiviewer, R&S®PRISMON is one of the most advanced and versatile solutions on the market. R&S®PRISMON is the tool of choice to visualize your content at the highest level. R&S®RelayCaster allows you to send live content via the public internet without paying for expensive satellite uplinks or content distribution networks. The R&S®PKU100 solid-state power amplifier for the Ku band offers top efficiency in an extremely compact design. The optional adaptive linearization improves RF parameters in a new and unique manner. Ideal for ingest, transform and channel playout applications. Paired with the virtual storage access technology, R&S®VENICE media server meets the requirements of all professional playout scenarios. The R&S®DVMS RF monitoring solution can be used for signal monitoring at the transmitter site, satellite uplink and headend. The instruments monitor an extensive amount of RF and TS characteristics and immediately generate an alarm when a problem is detected.